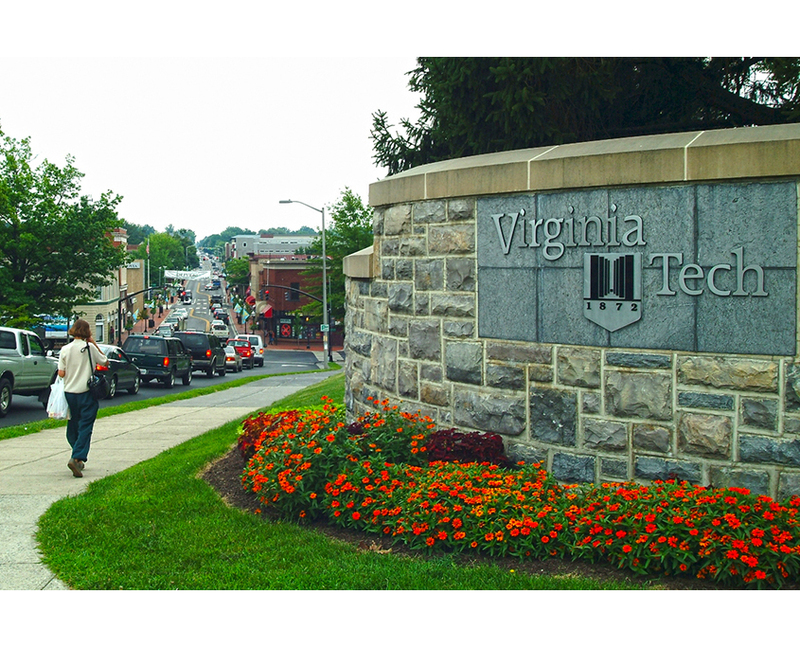 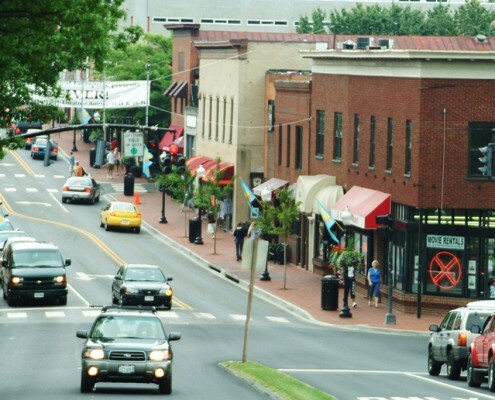 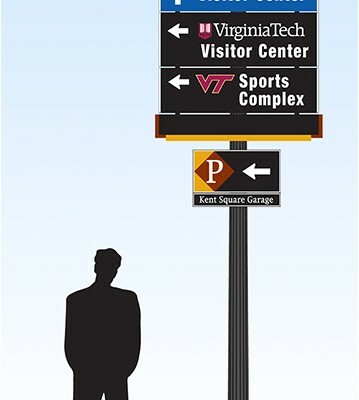 The Town of Blacksburg, the home of Virginia Tech, attracts an enormous visitor count. 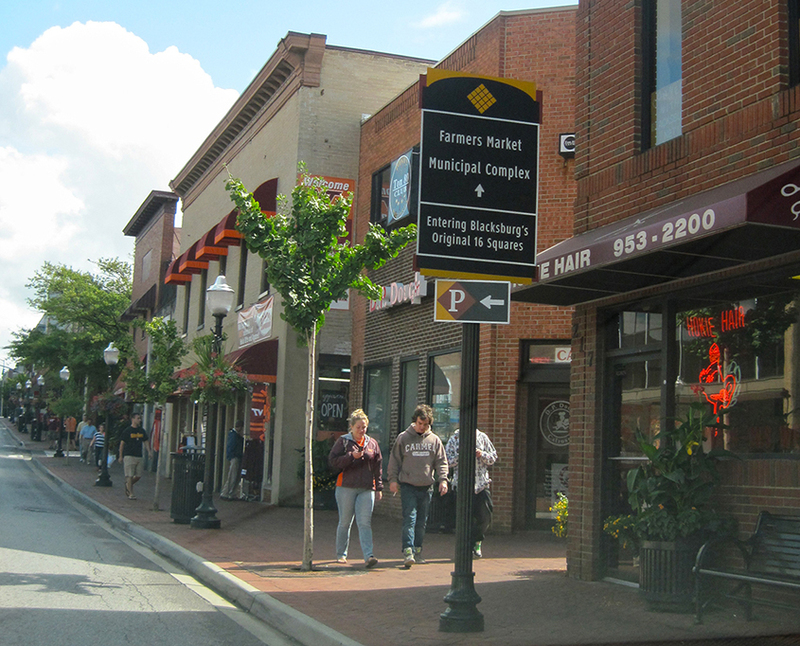 However, its lack of a directional sign system meant that downtown was not able to capitalize on this traffic. 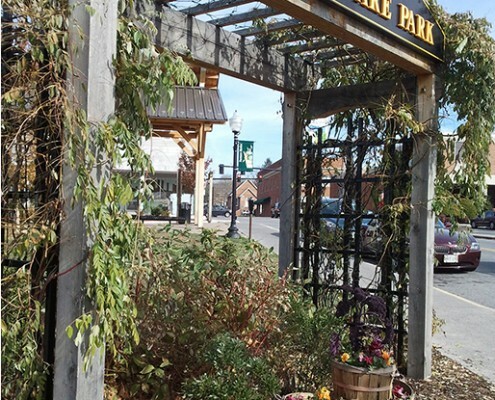 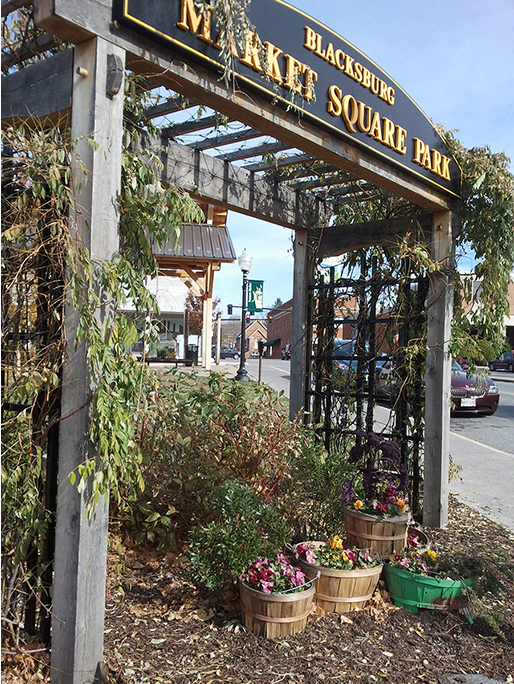 Future growth and viability of the downtown area is dependent on consumers and visitors having a system in place to guide them to destinations within the community. 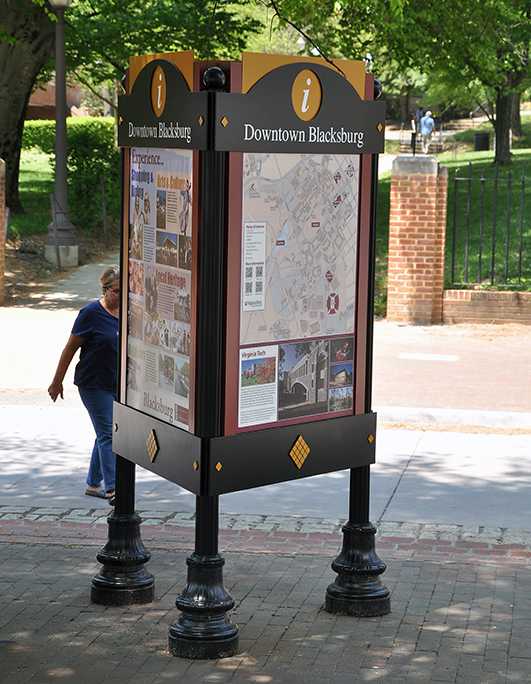 Frazier Associates designed a customized, town-wide wayfinding system to be installed in four phases. 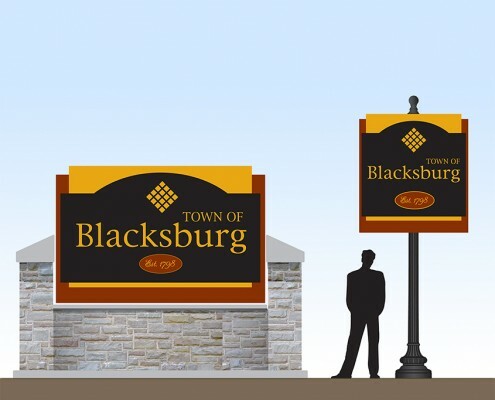 Because the primary entry into Blacksburg is the Rt. 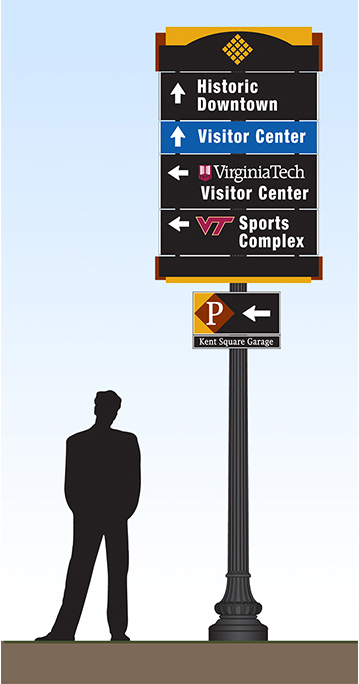 460 bypass, Frazier Associates also included recommendations for sign programming for the bypass — to provide continuity between both the Town’s custom sign system and Virginia Department of Transportation’s standardized signs. 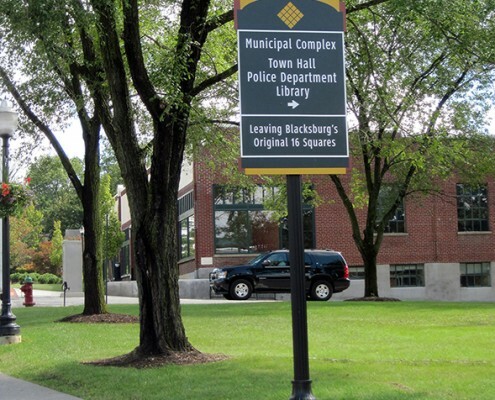 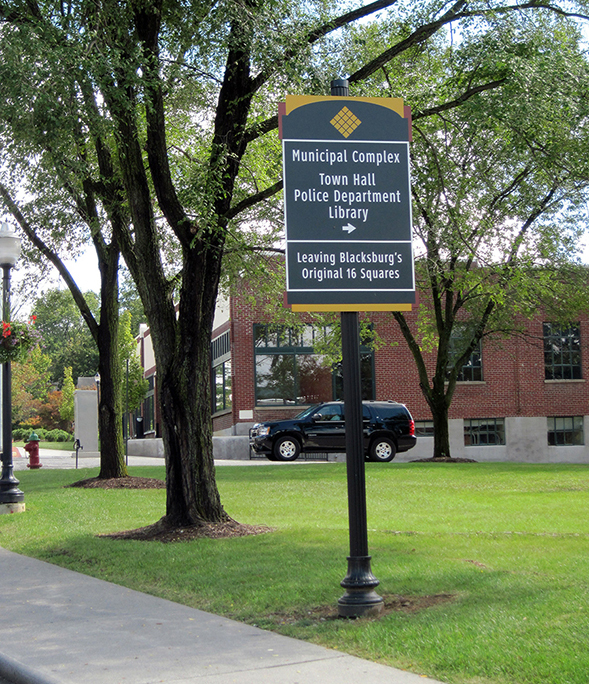 The Town also commissioned Frazier Associates to develop parking directional signs that coordinate with the wayfinding system. 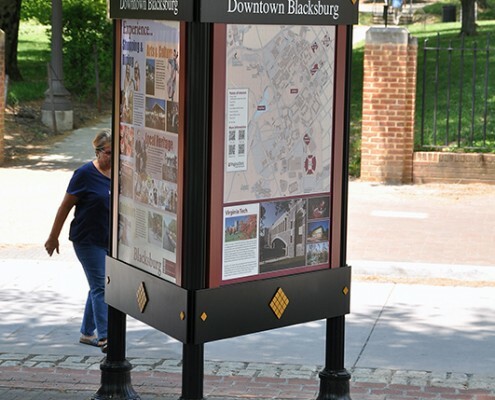 In addition, the firm designed informational kiosks and a farmer’s market sign.